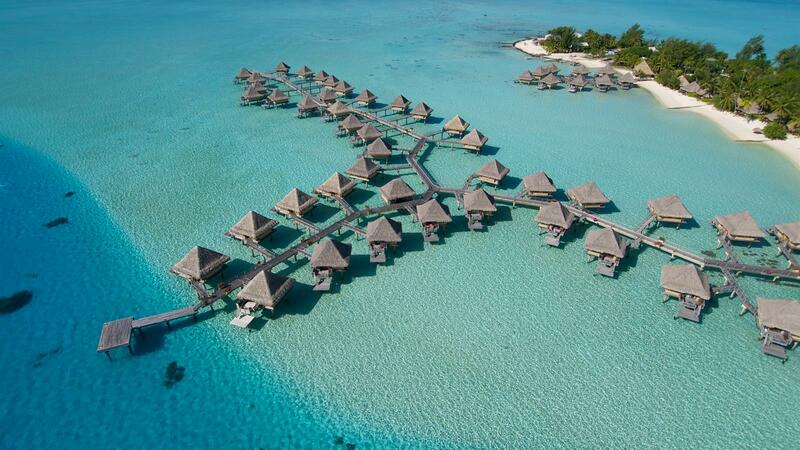 Enjoy 6 nights at the Intercontinental Le Moana Bora Bora: your first 3 nights in a Beach Bungalow and the remaining 3 nights in an Overwater Bungalow. All bungalows are actual mini-suites consisting of a bedroom, a living area, sundeck and a beautiful bathroom. Set among beautiful gardens, the resort facilities include a freshwater swimming pool, snorkeling, windsurfing, Tahitian entertainment and fabulous French cuisine. Package includes Full Breakfast daily, a Tahitian Black Pearl Gift, International and Inter-Island Airfare round trip and Airport Transfers. Dinner at Bloody Mary's Bora Bora, Shark & Ray feeding Bora Bora, 4WD Bora Bora. For a complete list of recommended Excursions on Bora Bora, please refer to the Excursions page and include your preferences on the Quote Request Form.